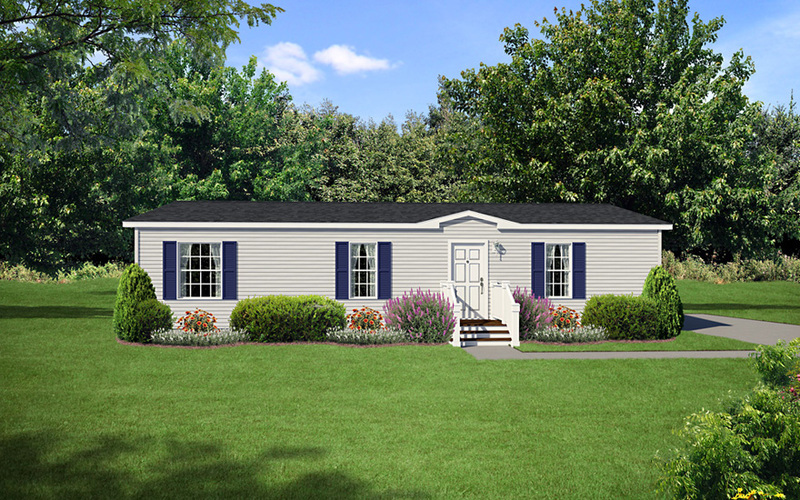 The Marshall model has 3 Beds and 2 Baths. 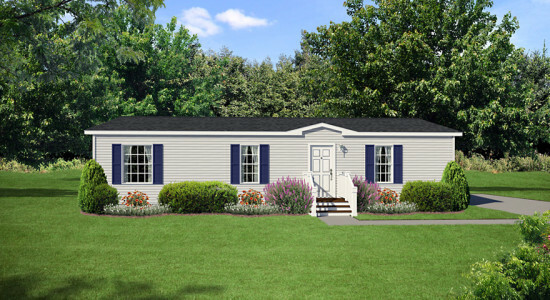 This 1226 square foot Double Wide home is available for delivery in Indiana, Illinois, Michigan, Ohio, Kentucky, Minnesota, Iowa, Missouri, Wisconsin. 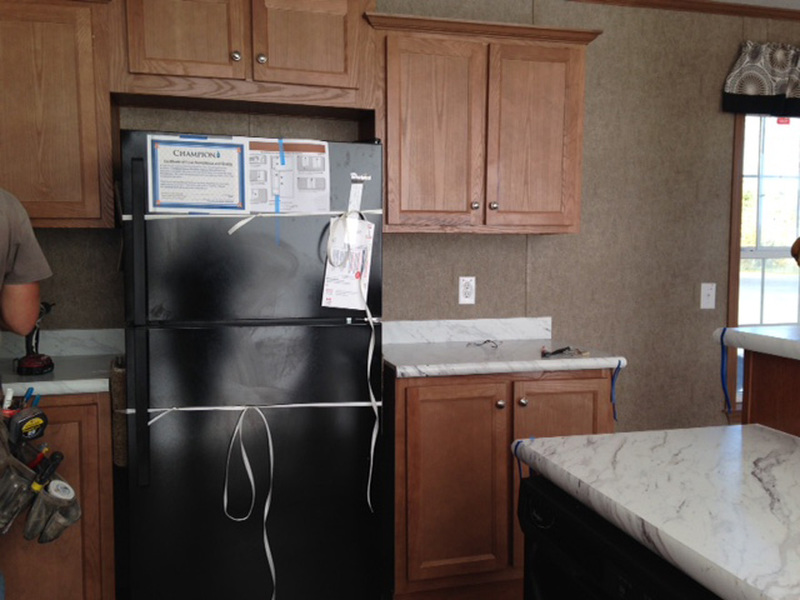 Hard to say which is more impressive in this mid-sized mobile home, the rare end wall front entry, also known as a “front loader”, or the splendid kitchen with its multi-functional kitchen island. 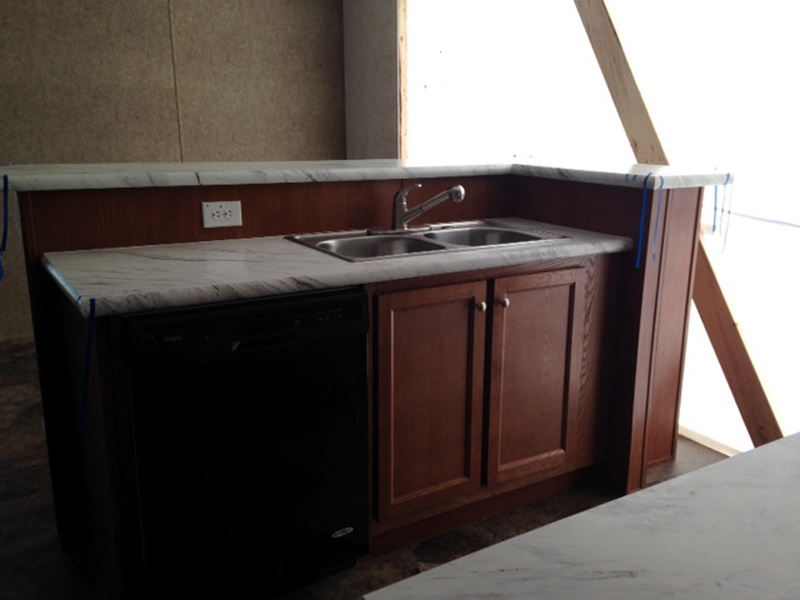 Or maybe the real star is the huge living room with two light transmitting windows. 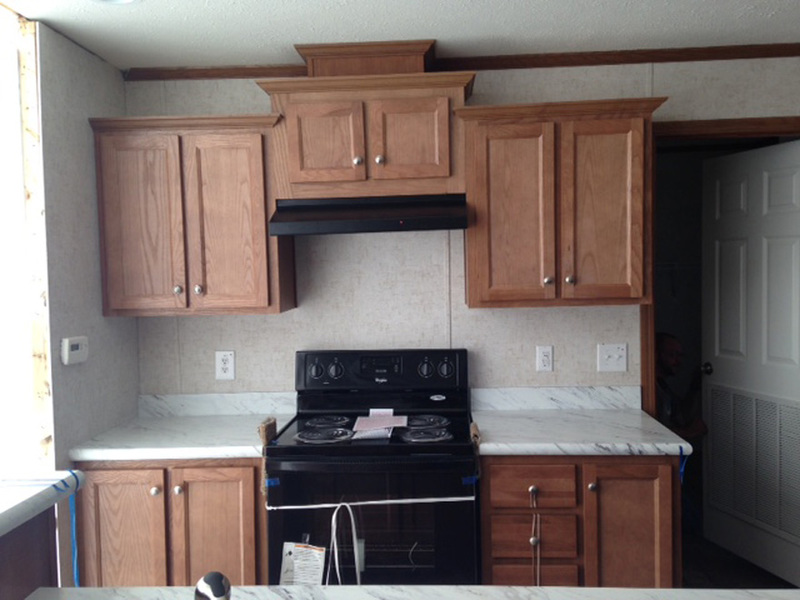 Ask about the optional kitchen hutch. 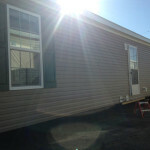 Steps and railings done on site by others. 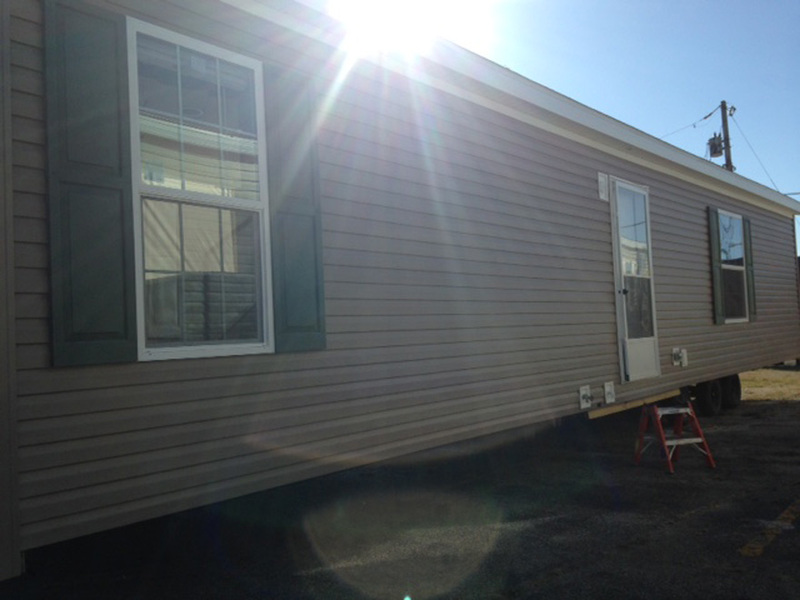 Shown with 6′ dormer, flint siding, blue shutters, black shingles, white trim and white exterior coach light. 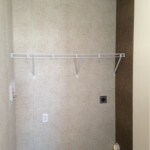 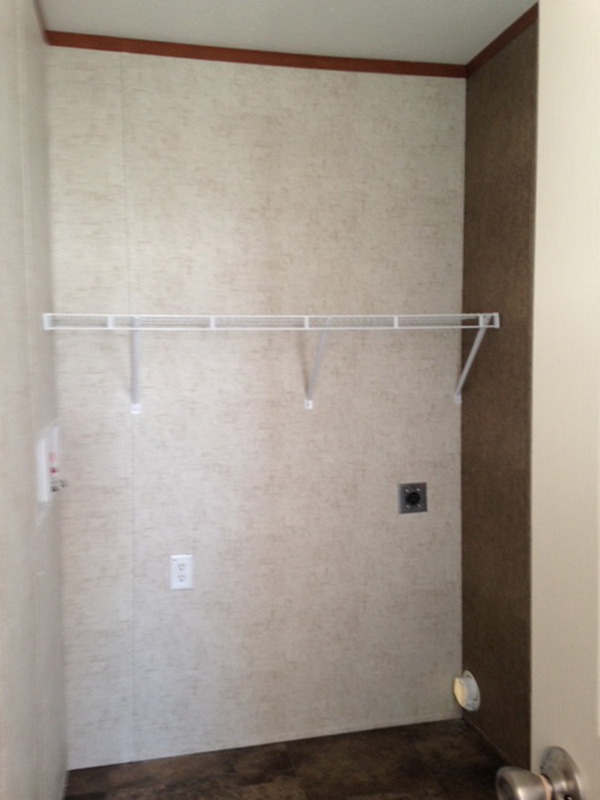 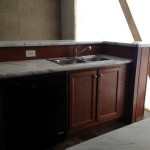 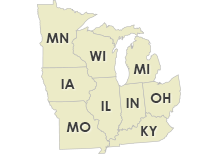 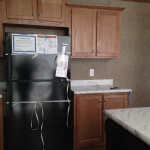 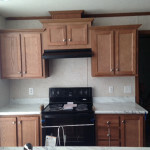 Ask your housing consultant about the other great features that come standard on the Marshall manufactured home.